Travel is a multi faceted beast. You hope for excitement, new experiences, leisure and relaxation, and a general impact on your senses. There are no rules. If a Pacific Island resort stay with a book by the pool and on the beach is your thing, then fair play – just make sure it’s a damn fine book. We’re a little biased here at New Zealand Mountain Biking. 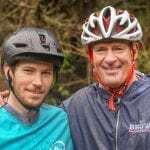 Our team is made up of bikers, kayakers, surfers, hikers and climbers. We’re all bound by a common thread to get into natural environment and in a sense, “get connected” again. 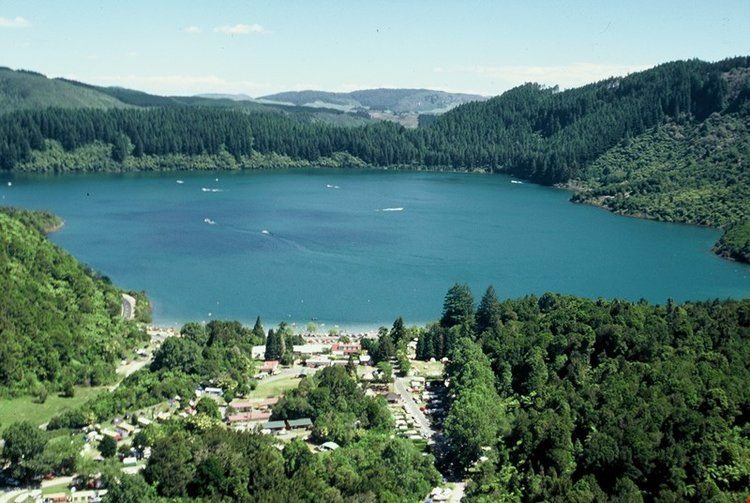 As well as running our tours, our bias extends to our favourite things to do in Rotorua area, where we’re based. So we thought it’d be appropriate to showcase some of the other operators who share our view of getting connected…. Just outside Rotorua, lies a small pocket of virgin native forest, that somehow escaped the logging boom of the early 20th century. 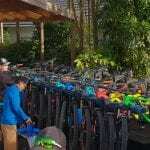 Back in 2012, Rotorua Canopy Tours launched with a series of foot bridges and ziplines that soar above and through the forest canopy and take you on a journey into New Zealands pre human past. The forest is lush, and the birdlife is abundant. guides are experts at interpreting this stunning area. Okere Falls is a small village a short distance from Rotorua, on the edge of lake Rotoiti and the world famous Kaituna river. The Kaituna flows out of Lake Rotoiti, and down through one of the most pristine gorges anywhere in the world. 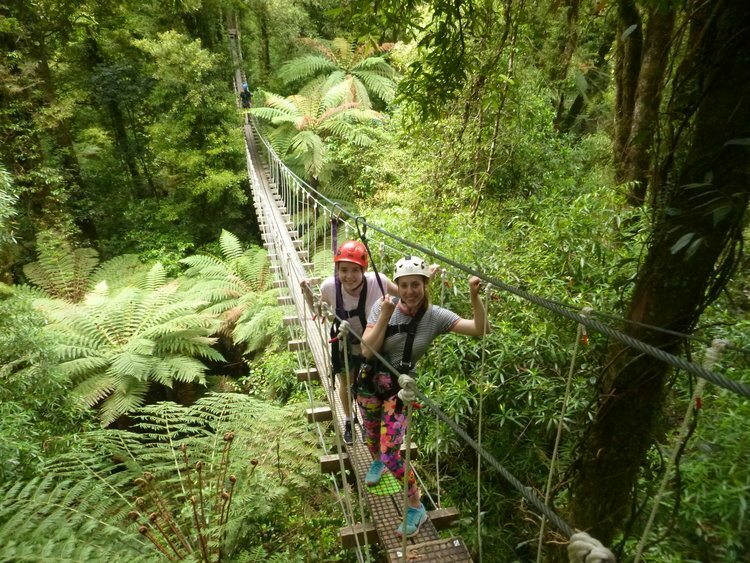 The walls of the gorge are a deep green colour – lined with moss, and punctuated with stunning tree ferns and canopy trees that hang over top. And that’s just the scenery. 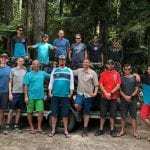 After a warm welcome and thorough briefing from the rafting team made up of world class professional kayakers, you’ll descend numerous exciting rapids in the gorge, including the highest commercially rafted waterfall in the world – Tutea Falls. 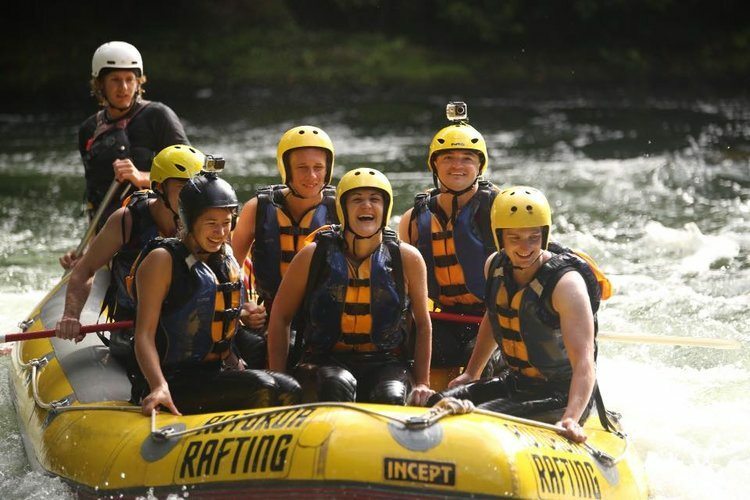 The team at Rotorua rafting ensure the trip is fun, safe, informative and exciting. Not all Rotorua activities are ones you have to reach into your wallet for. Again, just out of town lies an absolute gem – the Blue Lake, or Tikitapu. A collapsed crater, this lake is visually spectacular with turquoiuse water, beautiful forest on it’s edges and a fantastic 5 kilometre walk circumnavigating its entirety. With it’s pristine water and easy parking, it’s a perfect place for a swim. Being relatively shallow (27 metres at its deepest), the water here is warm in the summer. 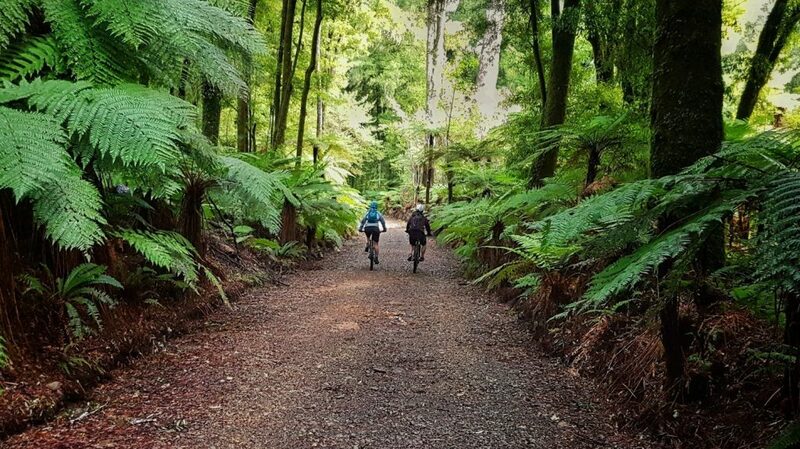 Check out our Ultimate Rotorua Day – we make a stop here after riding in the Redwoods in the morning! 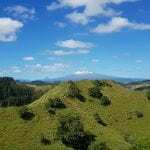 Get in touch with us for more information on things to do in the North Island.